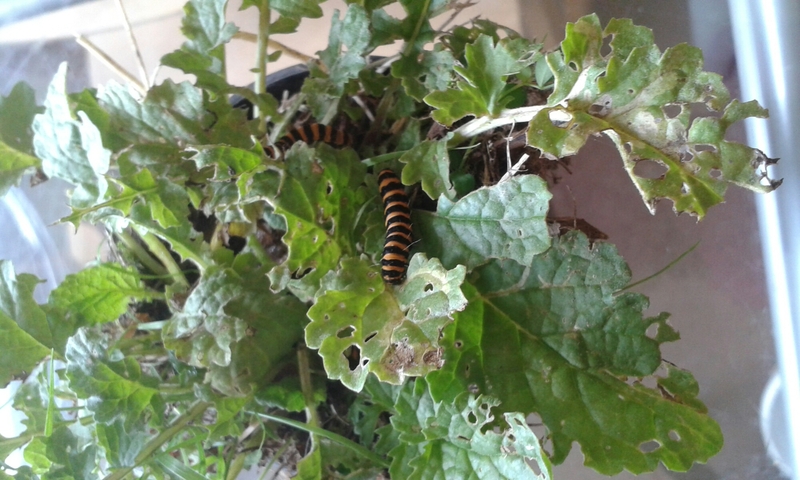 We had to dig up a new ragwort plant this morning for our caterpillar’s breakfast. While doing so we found 3 more caterpillars!! So now we have 4! I feel the relief of responsibility of managing to keep just one alive!! !